What happens in Springfield, stays in Springfield. Okay, not really…it’s not that exciting but I’m just trying to be funny. So today my great but sometimes odd family all came together in Springfield, Illinois as I told you was going to happen yesterday. And what a wonderful reunion it was. Everyone, that includes my two sisters, Emily and Liz, and their significant others, Connor and Shaun, mom, dad, uncle, and I, and the son, Jace, of Liz’s boyfriend Shaun. We all had a very fun and exciting day filled with happiness, laughter, and a lot of conversation coming from one overexcited video game expert. 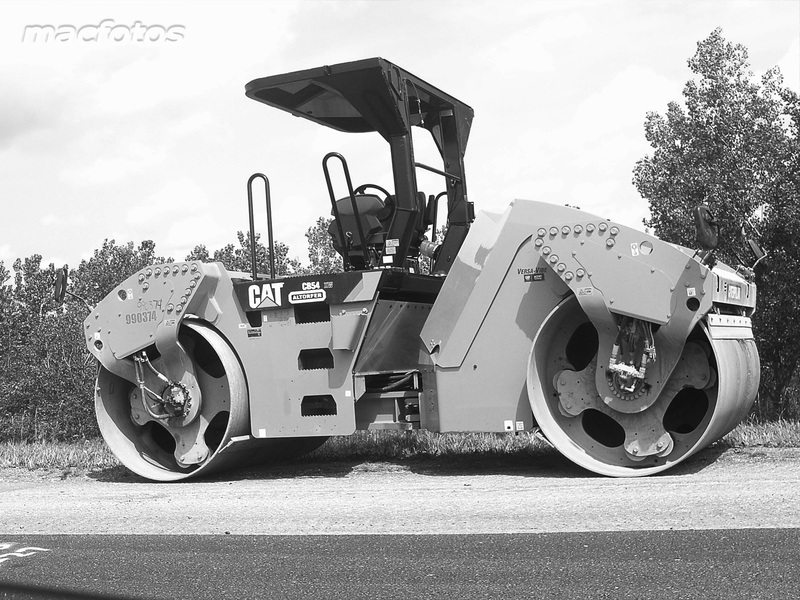 A highway asphalt rolling machine I saw on the way to Springfield. 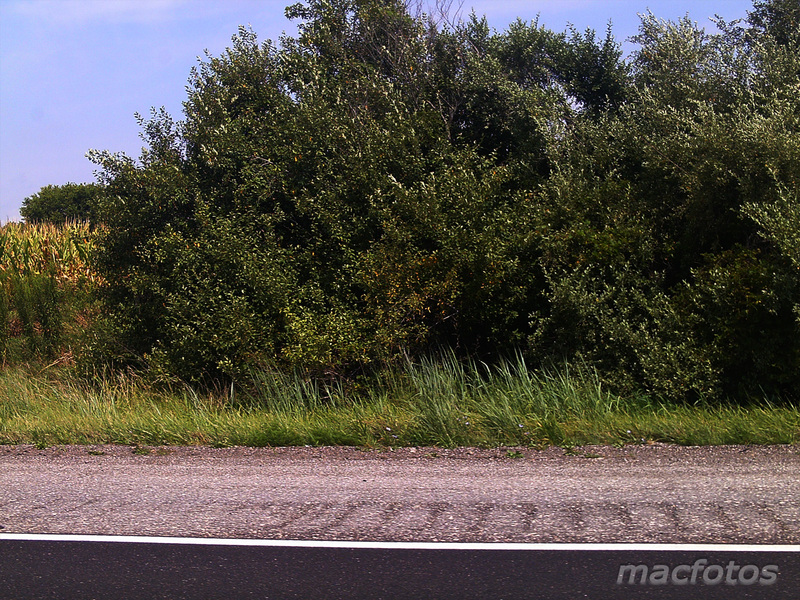 The only reason I took this picture is because we were in a traffic jam and stopped on the highway. 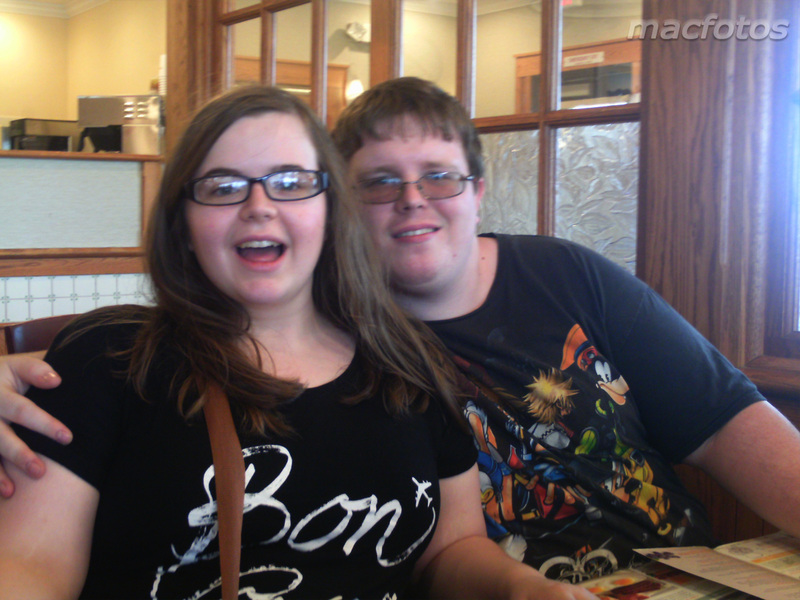 Emily, my youngest sister and her boyfriend Connor, the very conversational video game junkie, at Bob Evans. 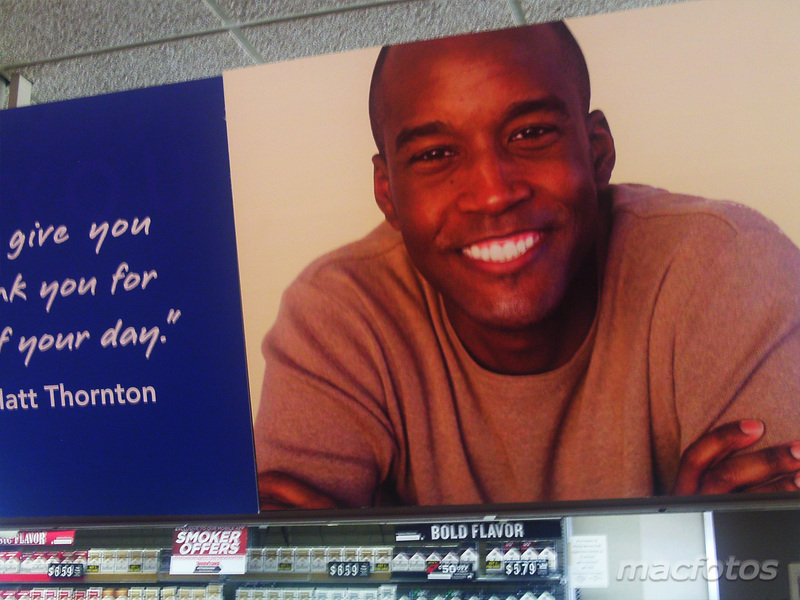 Matt Thornton – the greatest thing to come to convenience stores everywhere, that they even had to erect a giant sign of him. 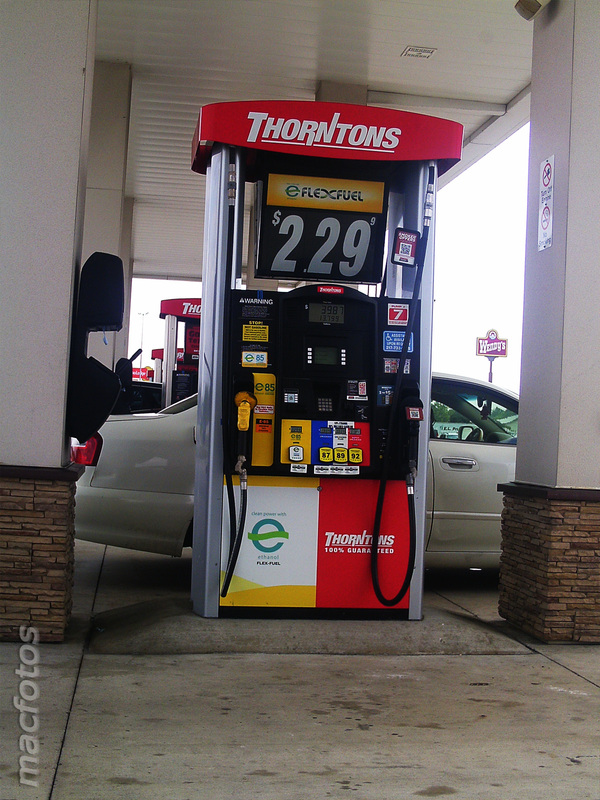 And a gas pump at Thornton’s. 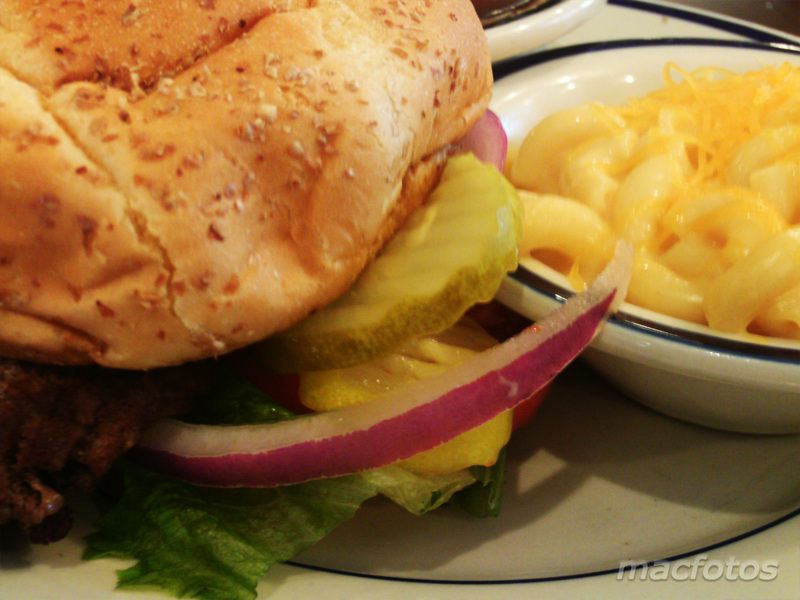 My meal at Bob Evans. Floor arrow. 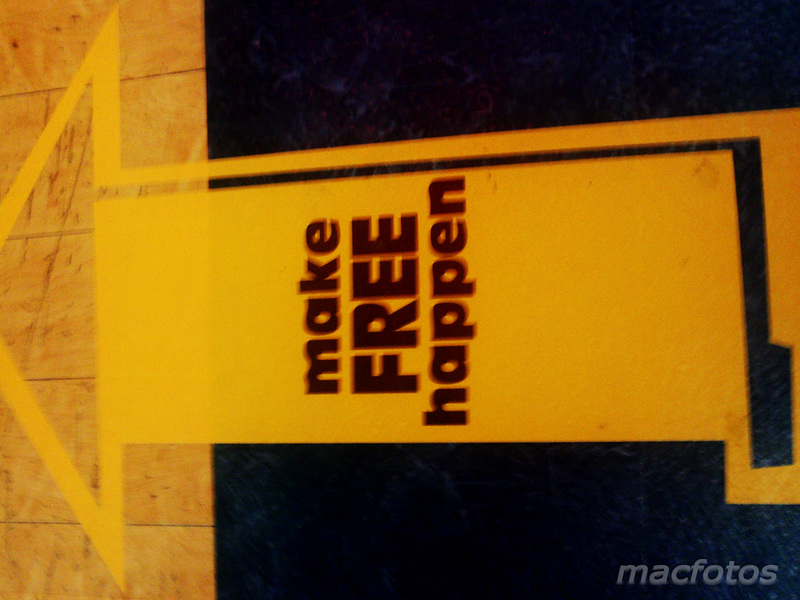 How exactly do you make free happen? Oh, rob the place. So the arrow message is promoting shoplifting? 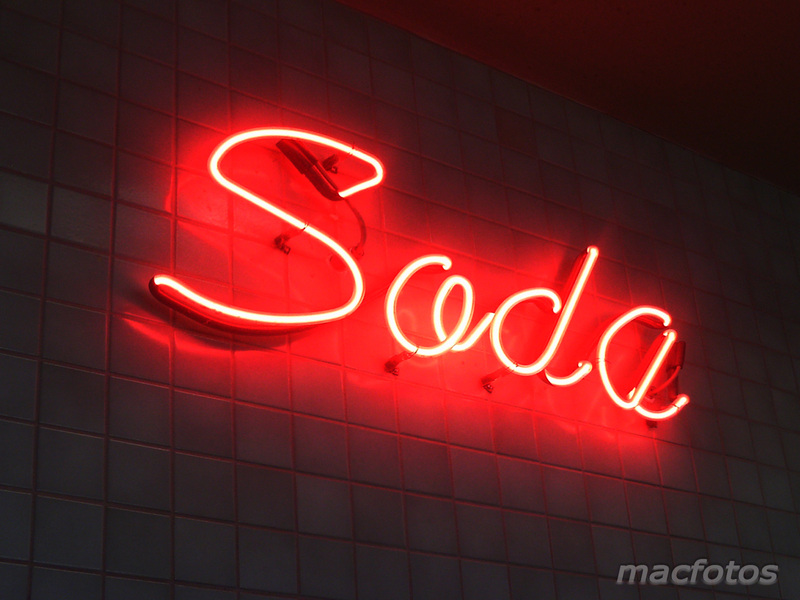 Neon lighted sign. 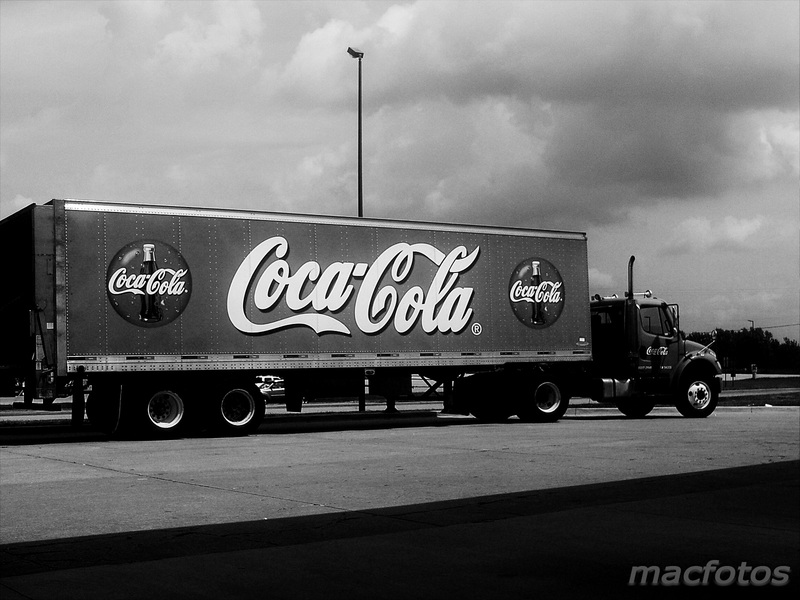 Soda as they say in any state except Michigan, home to the word “pop”. 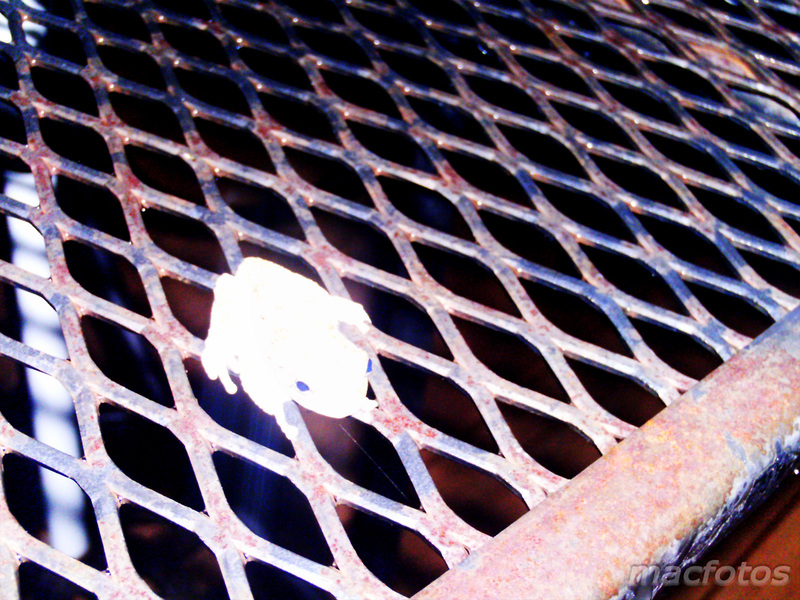 Overexposed picture of a frog on the outdoor patio table at the place we are staying, the home of an elderly lady with two grandsons. 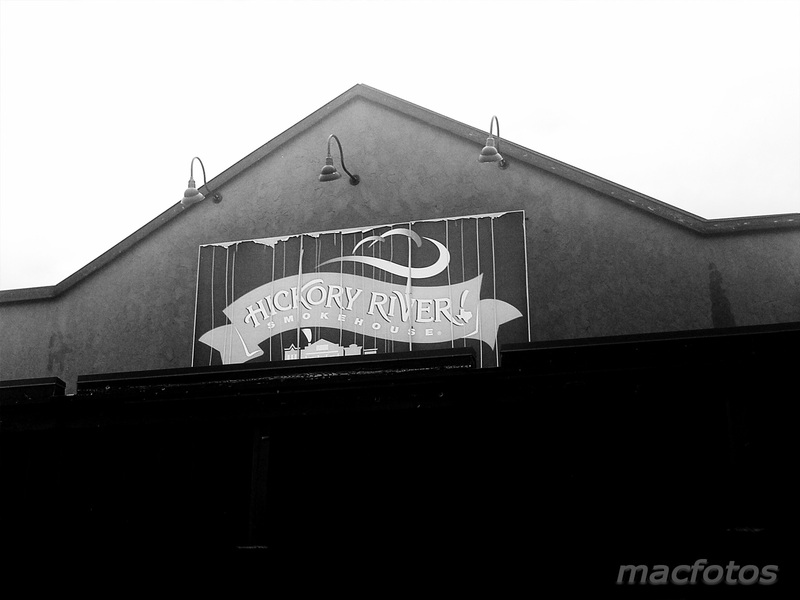 Hickory River Smokehouse, where we ate dinner tonight. 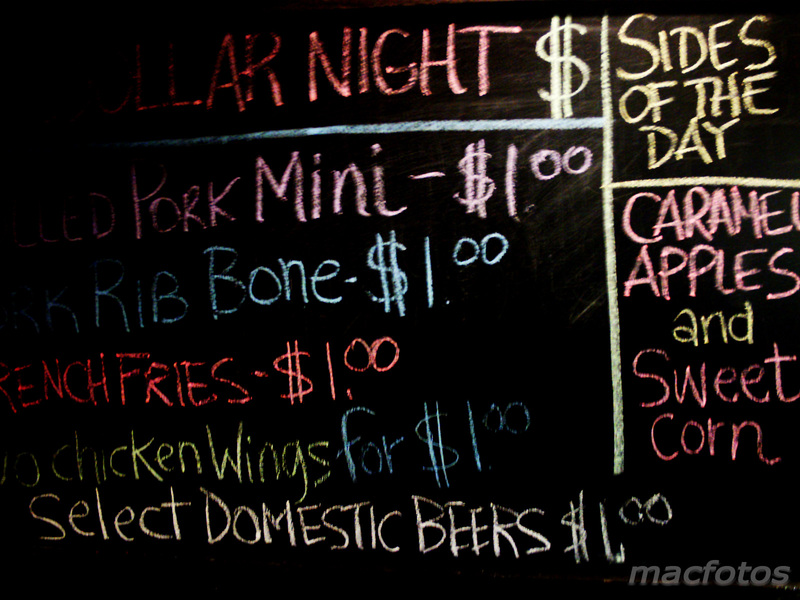 I had a pulled pork sandwich and couldn’t finish it because I was so stuffed. Not so fabulous menu at Hickory River Smokehouse, a not so fabulous restaurant but the whole family was together for the first time. 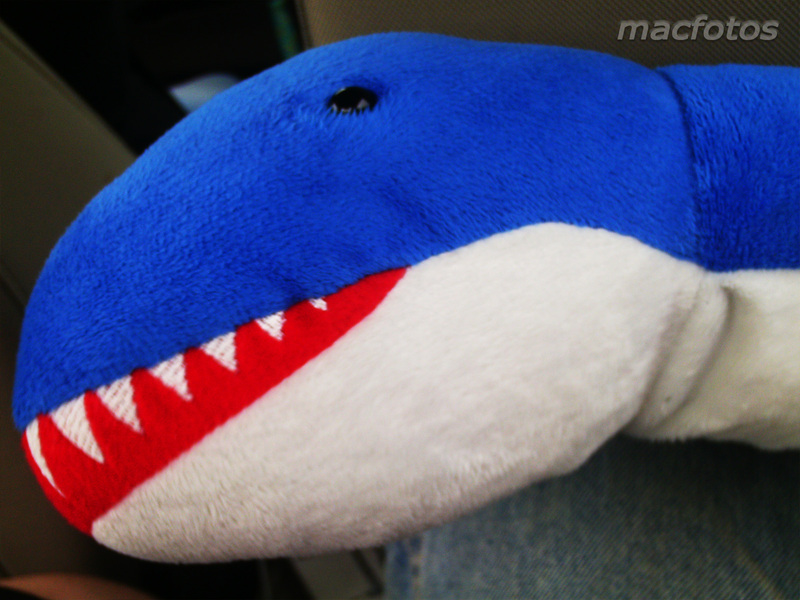 Sharkie! I met this odd looking stuffed toy today in Emily and Connor’s car. To say that we didn’t have the least amount of fun waving it out the window and hitting it against heads would be wrong. Tomorrow, our stay in Springfield continues with our visit to the Abraham Lincoln national cemetery and museum. I will be interested to be visiting my very first gravesite of a former president or any significant figure in history for that matter. There really isn’t that much to Springfield besides Lincoln but having the whole family come together in one spot is what I will really take from this trip.